Introducing Pilkington Planar™ Crystal Connect™. A joint venture with Dow Corning that puts innovation at the forefront of design. Pilkington Planar™ and Dow Corning are uniquely placed to join forces to create a product that provides specifiers and architects with a new option in point fixed structural glazing. Dow Corning, a global leader in silicones and silicone based technology, are respected for their expertise in the creation of high strength, durable silicone based adhesives. In 1971 Dow Corning’s advances in silicone technology enabled the construction of the world’s first four-sided structural silicone glazing system, a key development in structural glazing. Since that time, the technology has become accepted in many key global markets and has been used in some of the most onerous climatic conditions imaginable. As such, the technology represented a perfect foundation from which to develop the transparent silicone structural adhesive (TSSA) which has been incorporated into the Pilkington Planar™ Crystal Connect™ system. With a proven track record in the most demanding applications, the Pilkington Planar™ system allows architects to create entire glass facades on any plane. The traditional countersunk stainless steel fittings have been engineered to be strong whilst allowing the glass sufficient movement capability. The results are attractive leisure and working environments with stunning aesthetics, enhanced light and a greater feeling of space. Pilkington Planar™ Crystal Connect™, which can be used in similar applications to existing point fixed glazing systems, takes the fundamental benefits of the Planar™ glazing systems, and begins the exploration of a new adhesive technology. The Pilkington Planar™ Crystal Connect™ development programme has taken the traditional 4 sided structural glazing technology one step further, opening up design possibilities by applying the technology in the area of point fixed glazing. The concept – using advanced adhesive technology to create structural glass facades with no external discs, trims or cover caps to interrupt the external surface of the glass. 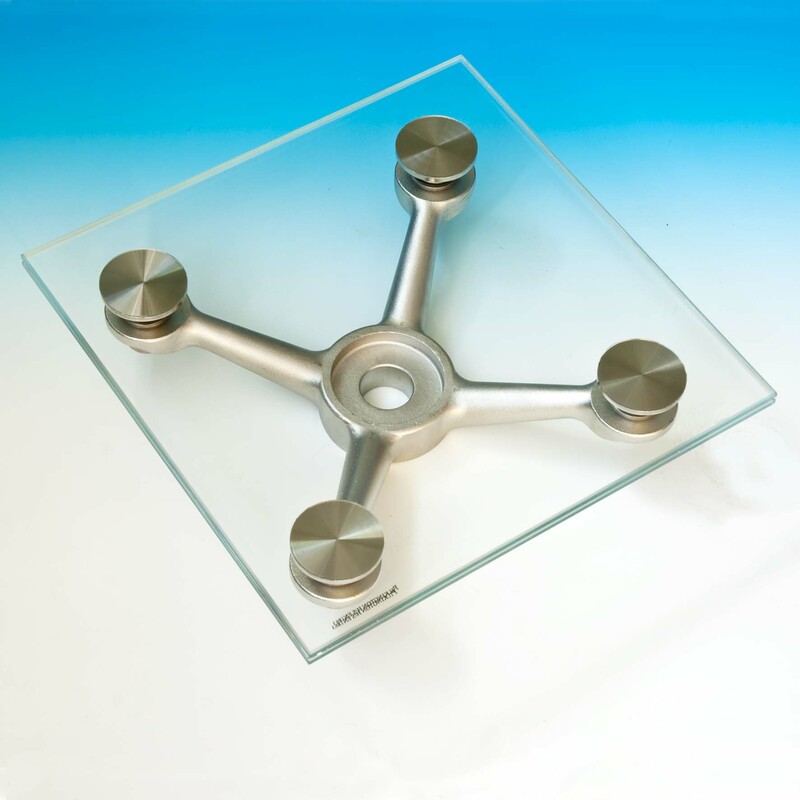 Currently Pilkington Planar™ Crystal Connect™ is being offered for use in all orientations in which the support structure is on the internal and underside of the glazing. With specifications of 1500mm x 3000mm in size, maximum spans between fittings of 1500mm, single toughened lites and 13.52mm laminates can be manufactured to a maximum weight of 135kg. Attaching to the inside surface of the glass only, the fitting technology does not penetrate or interrupt any artwork or coloured interlayer which may form part of the glazing panel. As such, this innovative fitting offer architects a unique aesthetic solution for applications in which the required aesthetic is for the simplest of stainless steel disks viewed through the glass or indeed no visible fitting at all in a coloured glass or art glass application. In addition to this Pilkington Planar™ Crystal Connect™ has the added advantage of being used in thinner glass constructions, where conventional countersunk bolted systems would be the norm. This therefore helps deliver a glazing systems which offers weight saving opportunities, translating into potential cost savings for both the glass element and structure. 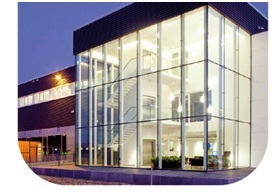 To learn more on the Pilkington Planar™ glazing systems please visit our product directory.